For almost 14 years, our family lived in Bible Belt USA, slowly fixing up a 1920’s ranch home on 30 acres. ​ We LOVED it there! That was going to be our forever home. Funny how things work out in the end, right? After only a few months of cooking in the coveted new kitchen, it was time to walk away from a home we planned to live in forever. Wait, WHHHHAAAAAT?! 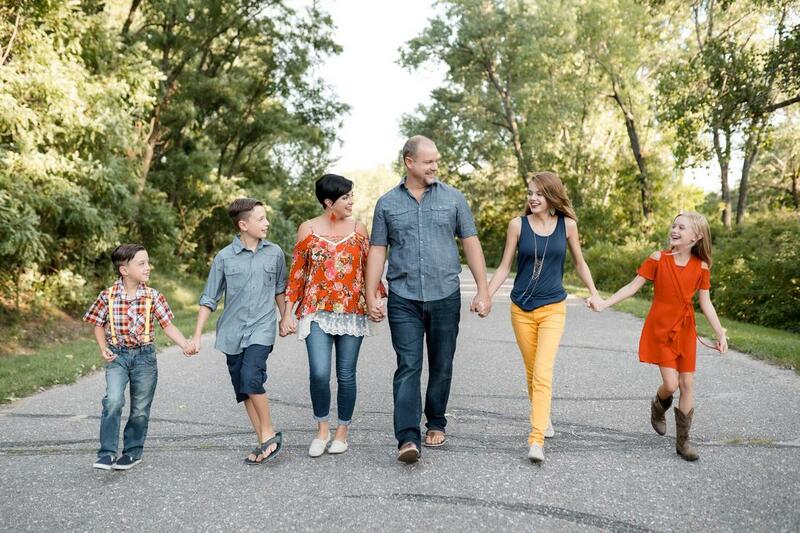 ​ We have 6 people in the Ferguson household: a daddy, a mommy and 4 Fergusons. We are naturally minded folks, that used to be REALLY good at sharing with each other! I mean really good! When big sister brought a bug home from school, she would share with little sister, who would share with little brother, who shared with big brother, who shared with daddy, who eventually, shared with one exhausted mommy. We played this sharing game OFTEN. There are just some things we would rather our kids NOT bring home from school ......YUCK! So we limited sugar, washed hands, took vitamins, went to bed early, all of it! I'd like to tell you it was the perfect plan, but we had a big family, with a bunch of little people in a row, and that was not the case. Instead, let’s do a little math, shall we? So, let’s say we have average 3 days of feeling lousy, times 6 Fergusons, that means EIGHTEEN DAYS LATER, we may rejoin the world, only to do it all over again next bug. It's hard to maintain health, while waiting your turn in a sick filled room! Have you ever got a 5 year old to swallow/eat an herbal supplement?! It's UUUGGGLY! We also tried homeopathics, several other brands of oils, even great grandma's home remedies.........you know, baked onions on chests, garlic on feet, we tried it all. ​ Smelled like pizza night! HOW COULD I SUPPORT A HEALTHY HAPPY HOME, NATURALLY!? 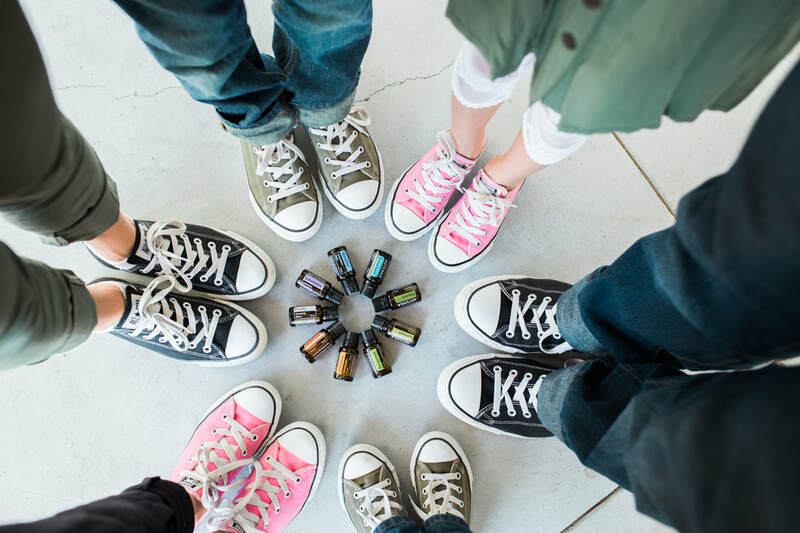 We had MORE results with doTERRA essential oils the first FOUR days they were in our home, than we had in the previous four YEARS, of trying other essential oil companies and other remedies. Like jaw dropping, holy cow, that worked fast, tangible results. WOW. Was this too good to be true? Could it be? Could I have found it? The THING that all mom's seek, the one that fits all the requirements and actually WORKS? YES! *The one that empowers her to CHOOSE BETTER, to FIGHT AND WIN against sickness from the comfort of home. *The thing I could access ANY HOUR of the day! I could've cried tears of JOY! I had to tell everyone! I began to SHOUT IT from the rooftops to all my friends. DoTERRA was a huge answer to prayer and blessing to my family. I began thinking of all the hurting family and friends in my life, so I contacted them too, so they could come try the oils. ​ As I did, doTERRA sent me a paycheck. In November of 2014, doTERRA paid me $500. Dale asked why? I shrugged, "I don't know, cause they are nice? He tells me no one is that nice. (he knows now that they are indeed, that nice. Haha!) And that we need to look at doTERRA’s comp plan. No way, bud! I am a blogger, stay at home mom, photographer, homeschooling mom of 4, I write for the newspaper, I don’t have time to add one more thing! Not long after, doTERRA went from paying us $500 a month for sharing oils, to $2500. What?! We are a commission only insurance family, we were used to feast or famine. We have never had a consistent once a month check, and this was nice! And all we were doing was sharing something we loved, simple as that. Soon after that, we doubled our income again and decided to answer the nudge of change from the Lord. We were having requests from our friends in other states, wanting us to come teach classes and help them share oils too. So we began to pray and ask the Lord to show us clearly, in a way we could understand, what we were supposed to do with this doTERRA thing. Wait, what is happening here? *The third day we prayed, our home with the brand new kitchen, which was not at all on the market, SOLD to a family that came to an oil class in my living room, and fall photos in the field a month earlier, and fell in love. We had a contract on the table by Friday! The Lord works in amazing ways, and in a month, we had sold, packed , or given away our worldly goods, as we moved our family of 6, into a very small diesel RV we paid cash for. We planned to travel the rest of the year, about 6 months or so, grow our business a bit and then buy or build a place back home. Not 2 weeks into our road life, we decided we weren't going back to a home without wheels. We were in love and we were so excited for the adventures to come! ​ Dale, at age 34, RETIRED from insurance and joined our family at home. I work a business, side by side, with my best friend and get to do life with him. Every single part of it! 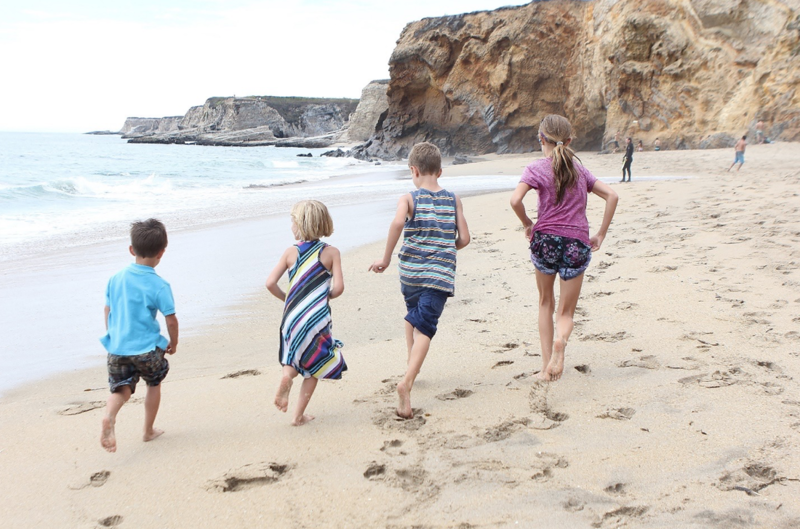 We now" road school” our 4 kids, live life to the fullest, enjoy the gift of TIME with them, teaching them to live intentionally and collect adventures NOT STUFF! I love that we don't answer to the clock anymore. That we aren't slave to work or school schedules. I have been allowed a beautiful gift, and not a day goes by that I don't breathe a prayer of thanksgiving, still in disbelief that this is our LIFE! We now get to make a great 6 figure income working from the comforts of our home sweet rolling home! If you are interested in helping others and creating an awesome income for yourself, let’s chat. We are excited and passionate about what we do, and how good it feels to take your life back. It IS possible! As you know, we have to be willing to stretch to grow. If you have a heart for others and are willing to commit 5 to 15 hours a week to growing a business, you WILL be successful. Ready for the business plan? Love oils, love people, be generous. This is NOT your neighbors home based business. *There is no product to stock, no monthly quota to reach, no room of your house to turn into a "product room". 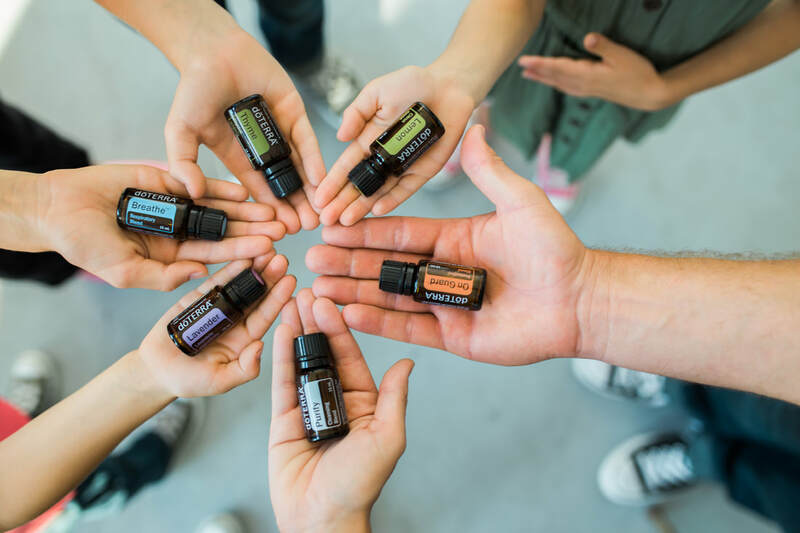 ​ *You just need a box of oils to use on your own family, so you can experience them for yourself, and share them with others. *You need to be passionate about helping people! If you are here, there is a reason, a grand design at work to bring you hope and a future. And if that future is with doTERRA, Dale & I would be honored to work with you. ​ Do you need to improve your family’s health? ​Do you want to live the life you always wanted? doTERRA WILL be known as the company that gets the most families out of debt!